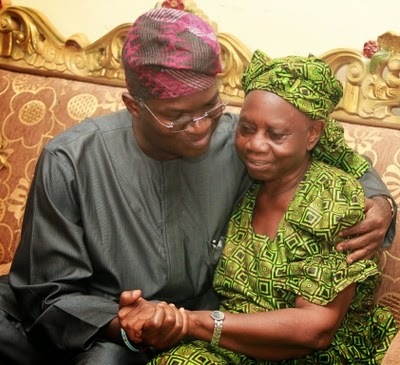 The Governor of Lagos State, Babtunde Raji Fashola, and an ex- Cardinal-Archbishop Emeritus of Lagos, Anthony Olubunmi Okogie, condoled with the wife of the late former Lagos Governor, Sir Michael Otedola. 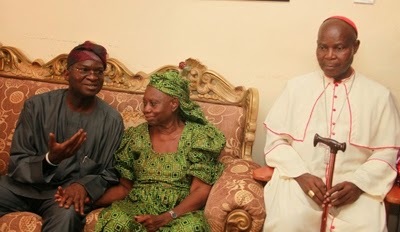 The delegation visited Sir Otedola’s the house on May 6, 2014, Tuesday, condoled with the wife of the former governor. It would be added that Fashola has previously described Sir Otedola’s death as “a great loss”, decalred a seven-day mourning period in the state to commemorate the great role Otedola used to play in the development of the state.